Jay Hammond had warned us that by capping, reducing, or eliminating PFDs: "As go dividends, so goes the Permanent Fund." The Permanent Fund dividend is endangered. If we don't save it now, the Permanent Fund itself will eventually die. To prevent this, we must elect candidates who will work to constitutionalize the PFD. The PFD was based on prudent policy. The PFD has always represented your direct share of the state's natural resource development under Article VIII, Section 2 of the Alaska Constitution. Our state leaders at the time believed that individual Alaskans — not government — could determine how best to spend their own small portion of our collective oil wealth. Gov. Jay Hammond had very specific goals in mind when calling for adoption of the PFD. He knew politicians were always inclined to "spend every windfall to satisfy insatiable short-term needs and demands" instead of planning for the future. Hammond recognized the urgent need to lock away some of our resource wealth in an investment endowment that politicians could not touch. He envisioned the PFD would establish a "militant ring of dividend recipients" to resist invasion of the Permanent Fund if such spending would ever reduce their dividends. The PFD was meant to forge the people's connection to the fund, to cultivate Alaskans' understanding of their ownership rights and their involvement in its long-term well-being. The PFD was designed to benefit every Alaskan equally. As Hammond put it, all residents should share in our resource wealth, not just "those who knew how to play the game (who) were able to secure subsidies for their pet projects, many times at the collective expense of all other Alaskans." Earlier this month, Alaskans received a $1,600 dividend. Had it been calculated by statute, it would have been around $3,000. This was the third straight year of reductions. The Alaska Supreme Court in 2017 decided that the statute establishing the PFD could be ignored by the Legislature and the governor. As your PFD is whittled away so your dividend can be spent on government functions, the sound policies underlying the PFD are undermined. And your PFD now faces complete loss. 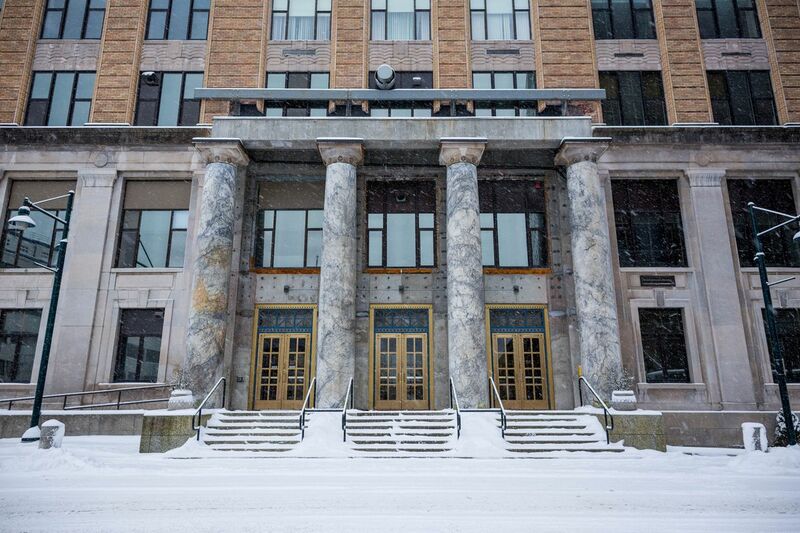 This year, the Alaska Legislature passed Senate Bill 26 to use Permanent Fund earnings to pay for the state's budget for the first time ever. Until now, your PFDs were the only significant item funded by the earnings of the Permanent Fund. Your PFD must now compete against government for funding from the same sum withdrawn from the fund's earnings. This means when government seeks more money, it's going to take it from your PFDs. This is not fair to Alaskans. Some politicians say SB 26 protects your PFD and prevents overspending of the fund's earnings. This is not true. Under SB 26, lawmakers are not required to prioritize the PFD. Government skeptics recognize this attribute of SB 26 was purposeful, meant to leave the Legislature the option of eventually eliminating PFDs. And SB 26 cannot legally limit how much the state can spend from the earnings of the Permanent Fund. The Legislature can always spend more, meaning that politicians may well deplete the earnings account, leaving nothing for PFDs. Your PFD is at grave risk. As the Alaska Supreme Court observed: The only way to protect the PFD now is through a constitutional amendment. Some contend the PFD should not be relied on as an "entitlement." They argue that constitutionalizing the PFD is "unwise" because that money might be fully needed someday for government spending. This argument is alarming. It assumes that we shouldn't care that by the time politicians will need 100 percent of our PFDs, it will mean the state has still not devised a better fiscal plan, sufficiently curbed spending, saved enough money or implemented new revenue strategies. It would mean that the state could burn through unpaid PFD funds just as quickly as it had blown our tens of billions of dollars in other reserves. Where would that leave us? Once the PFD is gone, politicians will set their sights on looting the corpus of the Permanent Fund. Alaskans are not helpless to prevent loss of their PFD or placing the Permanent Fund in jeopardy. But we must take action before it's too late. It's time to fulfill Jay Hammond's vision for the PFD. We Alaskans must form Hammond's militant ring of PFD recipients who can safeguard the Permanent Fund. This Nov. 6, vote to send leaders to Juneau who promise to fight to constitutionalize the PFD. Scott Kawasaki is a candidate for the Alaska State Senate and has served Fairbanks for 12 years in the State House. Bill Wielechowski is a state senator who has served Anchorage for 12 years. Rick Halford is a former Alaska Senate President from Eagle River. Dr. Jack Hickel is an Anchorage physician at the Southcentral Foundation. Jay Hammond's quoted material in this piece may be found in his 1996 Anchorage Daily News opinion and in his published book, "Diapering the Devil." Bill Wielechowski represents Anchorage residents of Mt. View, Muldoon and Russian Jack in the Alaska Senate. He is the vice chair of the Senate Resources Committee.